Early next week, I will have an article published over at PureMTGO concerning the current state of Standard Pauper. Today I want to bring you a sneak peek of the content from that article by discussing the current Standard Pauper metagame. Considering that the Standard Pauper set is at its smallest possible size right now (with only four expansion sets and one core set), this is an impressive amount of variety! Additionally, even the top performing decks are seeing quite a bit of variation in their actual lists, so there is still plenty of room for innovation and experimentation in the metagame right now. So what's your favorite deck in the metagame right now? Let me know in the comments below. 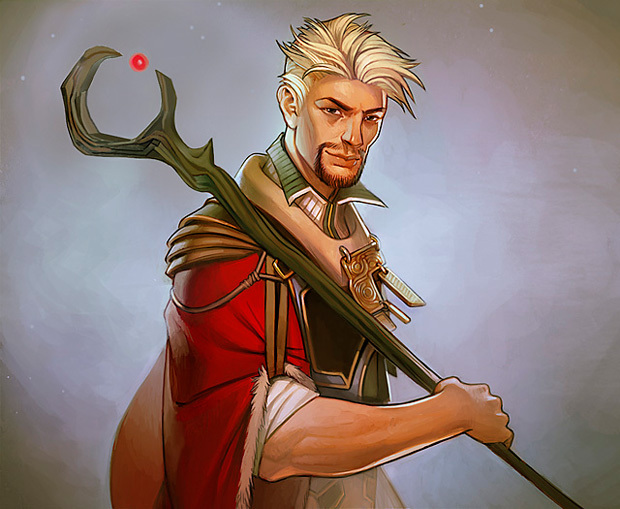 Very nice, gwyned! Thank you very much for putting this together! 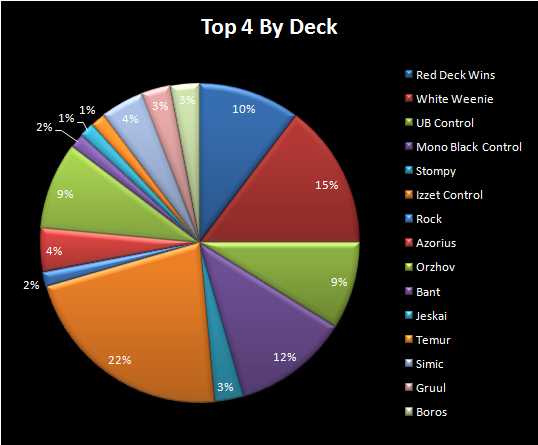 My favorite decks are DrChrisBaker's Izzet Cruise deck and BigBee's "Simic" deck (which splashes black). My only issue with the current metagame is the huge amount of cheap protection spells which make White Heroics too strong. But there is plenty of fun decks to play in all styles. I think Izzet is still viable against heroic. The main problem is facing the turn 1 Trailblazer, specially when you are on the draw. I'm splashing black for some lifelink and discard and I am pleased with the result. Mind Rot helped forcing them casting their protection before I tried to deal with their creatures. But yesterday I was wrong cutting Tormenting Voices because the deck lost to itself a few times by drawing too much high costed cards in the early game.